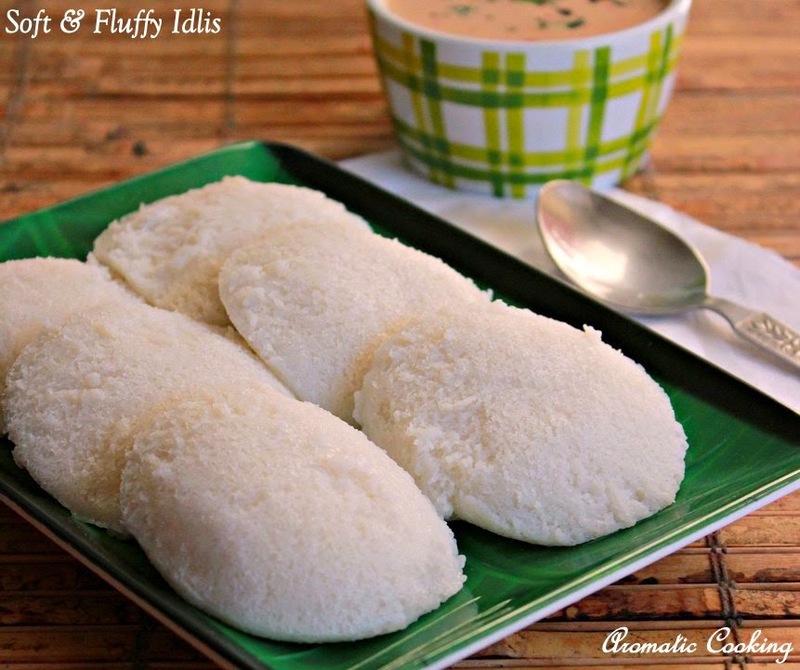 Soft and fluffy idlis, I wanted to have a post on it, in my Basic Recipes section, for a long time now. Though I make it so often, I keep forgetting to take pictures or I put it off, thinking that I'll make a post the next time, when I make them. Finally, today I made it..
Wash and soak the rice and dal separtely overnight or for a minimum of 4 to 5 hours. Grind the rice into a slightly coarse batter ( should be like fine semolina/ rava soaked in water ). 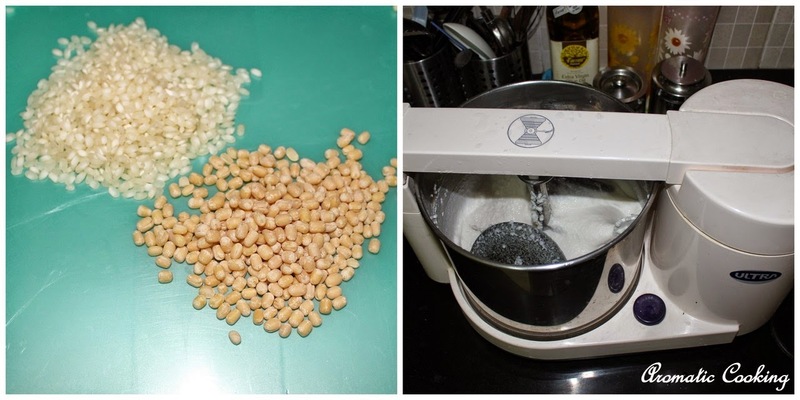 Grind the urad dal into a smooth batter, I use the wet grinder for grinding both the rice and the dal. The rice should be ground and removed as soon as it reaches that slightly coarse texture, but for the urad dal, you should run the grinder for about 20 to 25 minutes. Take both the batter in a big container ( there should be enough space in the container for the batter to rise during fermentation ), add the salt, mix the batter well ( I use my hand ), cover and leave it to ferment overnight. 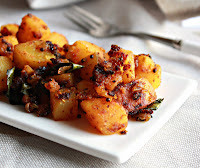 Take the fermented batter, mix it well ( the batter should be like a thick pancake batter, if needed add a little water ), pour it in greased idli moulds and steam it for 12 minutes, remove and serve. Grinding the rice batter is not the big issue here, but grinding the urad dal makes a lot of difference to the idlis. 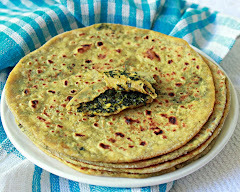 Some of the things that I follow while grinding the urad dal, first I add about 1 cup of water as soon as I start grinding the urad dal, in the initial stage itself, also I grind the urad dal for 25 minutes. 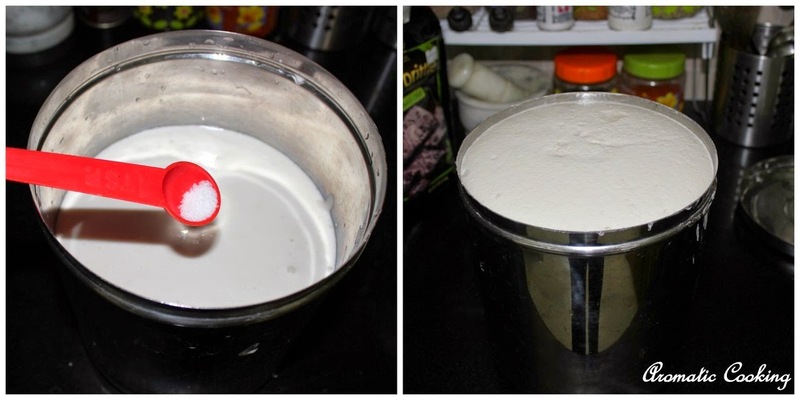 Fermentation is another thing that plays an important role in getting soft and fluffy idlis, the time taken for fermenting depends upon the weather, how hot it is. When I was back in the US, I used to leave the batter in the oven ( preheat it to 200 F and switched off ), here in India I don't have a problem. 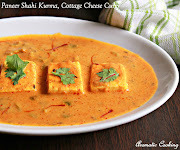 But still, if the batter rises very nicely like in the picture ( got the batter done at 1 o' clock in the afternoon and the fermented batter as seen at 6 o' clock, the next day morning ), then I am sure you'll get very soft and fluffy idlis. Some of them don't mix the batter that much before pouring the batter in the idli moulds, but I do that, that way you'll get good idlis till the very end of the batter. I had made the batter on Thursday, and I had made idlis on 3 different days, till the following Wednesday and still I got decent idlis. To remove the steamed idlis from the moulds, sprinkle some water along the edges of the idlis, dip a spoon in water, run it around the edges and remove the idlis, it'll come out clean and smooth. They look wondeful! 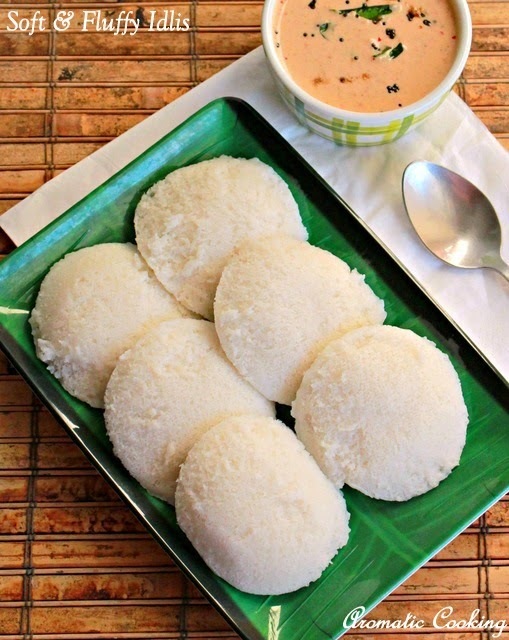 What is idlis rice? Short grain rice? 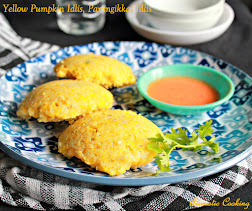 Delicious and lovely looking idlis. 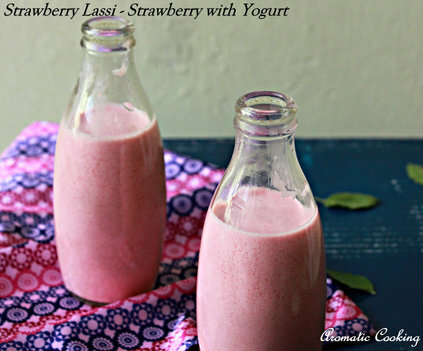 Simply mouthwatering. Our favourite breakfast, those fluffy idlies are inviting..